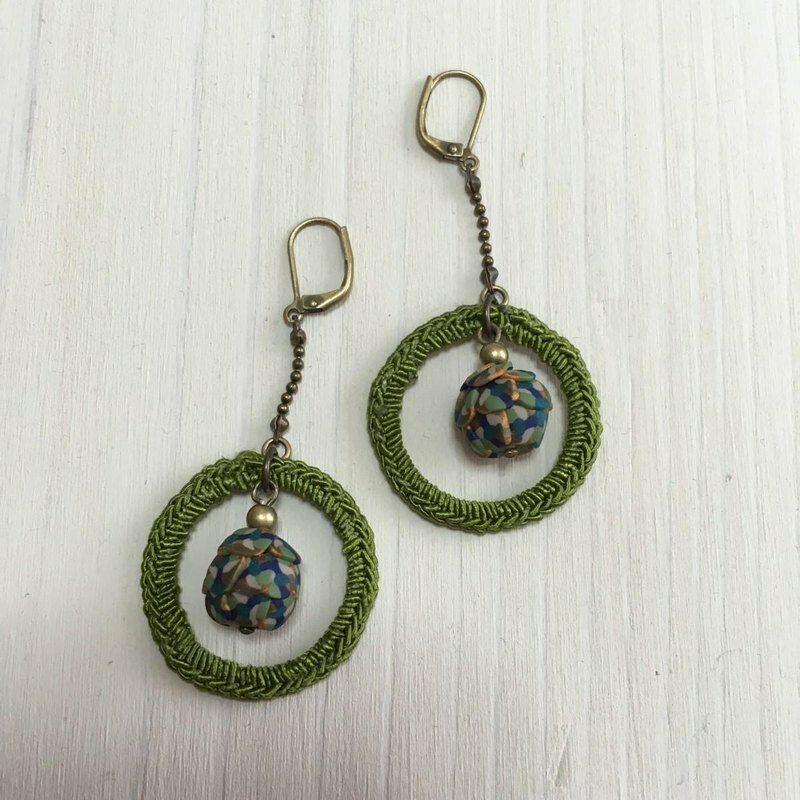 The beads and Hoop made with resin clay earrings that Deki a combination of the parts that made wearing knitted yarn. Diameter 3cm Hoop About the total length of from Pierce Hall 6.5cm Even earrings are interchangeable. Such as changing the length and earrings of the type of chain also, please do not hesitate to ask a question.